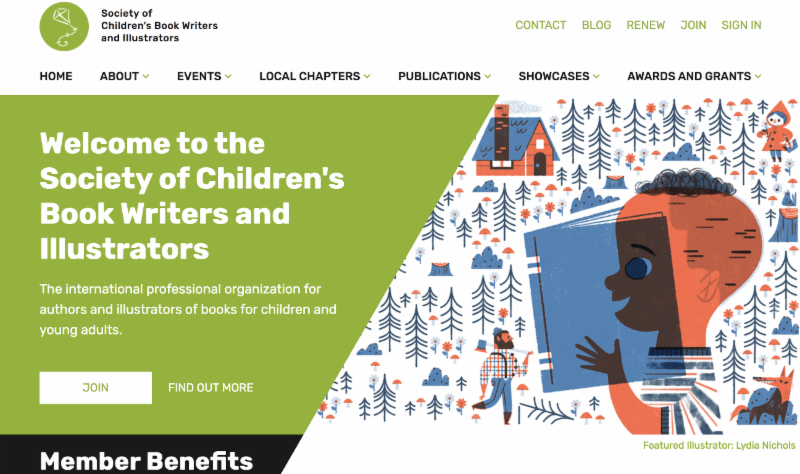 Now scbwi.org has a new look and new navigation. We’ve kept the warmth and friendliness you’ve come to associate with SCBWI, and now with a fresher look. What’s changed is an improved navigation that eliminates long drop-down menus and too many links on the nav bar. Information you need most is now where you can get to it the fastest – on the homepage. There’s a new FAQ as well as links to Member Benefits. As always you can renew your membership online with the click of a link on the homepage. Login and take some time to browse the site and enjoy the new look made with all of you in mind. There will be more big changes coming this year, and new and refreshed content to help you maximize your SCBWI membership. The website is your primary touchpoint to all the news and information you need on your journey in children’s book publishing. We want to make that a better experience for you.